Please be a hero for Annie, Hannah, Joel, Liz, Maya, and all people needing blood products. 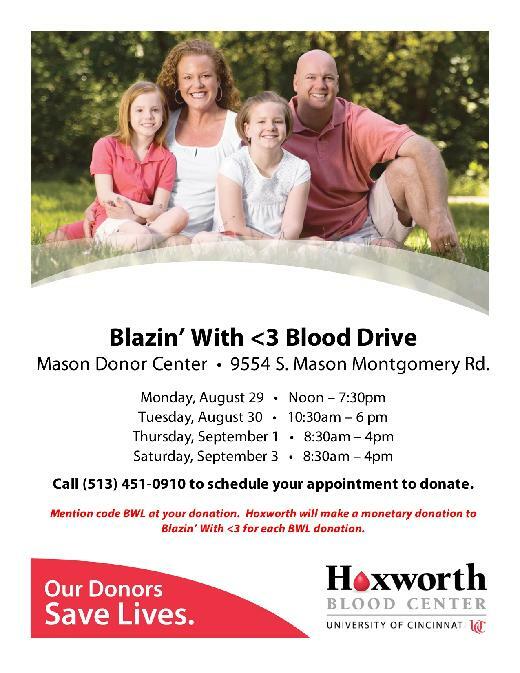 Call the Mason Hoxworth today to donate blood this week, mention the code BWL and Hoxworth will credit $25 per donor to our team, Blazin With Love! Check the flyer below for times.